Take in some history, stay cool with river rafting, hook a prize catch with an expert angler and more with guided area tours. Coast and buck through the gentler sections of the Blue River or ride the river wild on the raging Class V deluge of the Arkansas River. Wind through the clean mountain air in a Hummer, open-top Jeep, ATV or UTV to see more of the gorgeous high-country terrain Summit County offers. 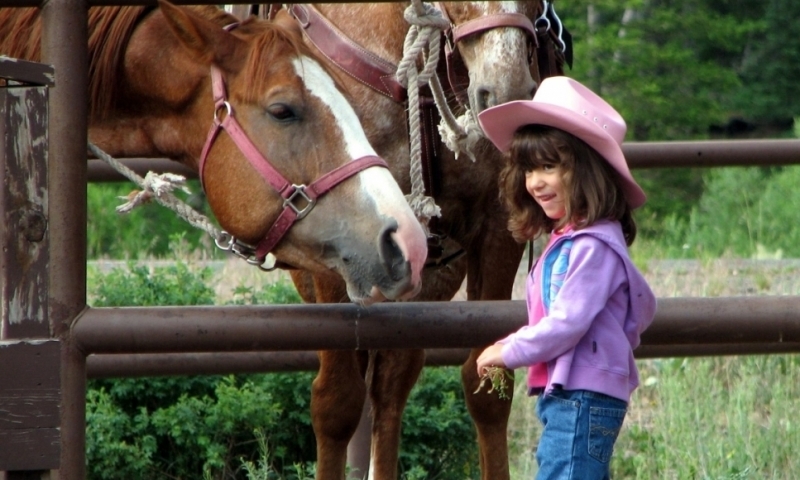 Get out of the busy mountain towns and into the mountains with a horseback ride to experience the mountains of Summit County more fully. Saddle up! 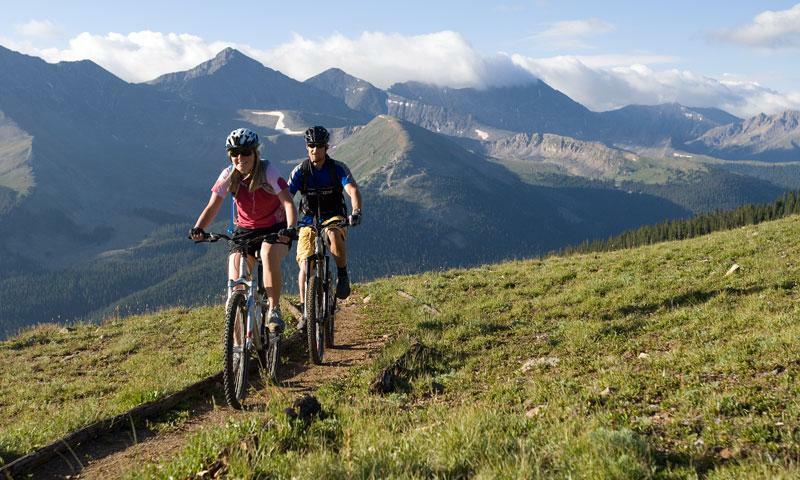 Test your road cycling limits at elevation, dig deep for single-track thrills or ride a cruiser around downtown Breckenridge to take in the sights. 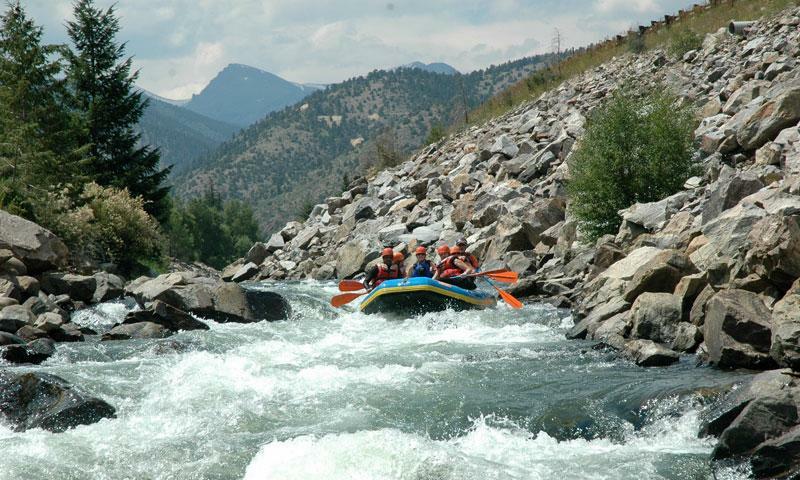 Show your kids how much fun the outdoors can be with whitewater rafting trips, hiking, fishing or horseback riding in Summit County, Colorado. 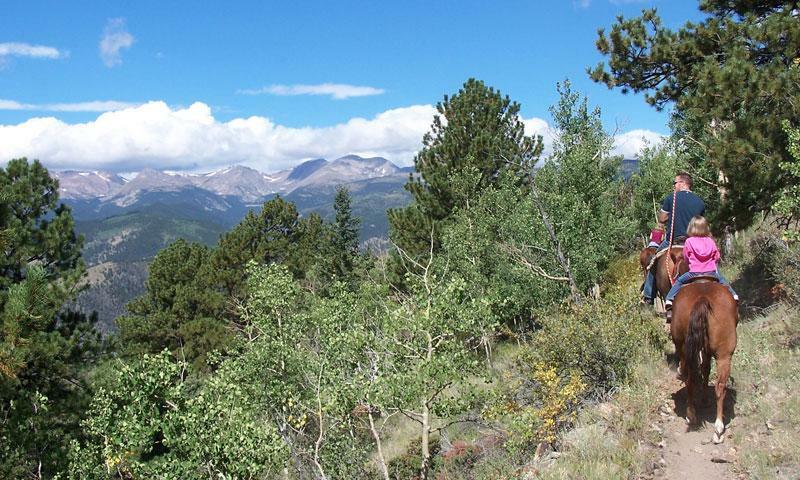 Visiting Summit County, Colorado in the summer is an experience you'll never forget. Gold mining relics, hot air balloon rides, river rafting, rock climbing are just a few great things to do. There are countless adventures awaiting you in Summit County. Between all the activities available to visitors in Summit County, there's enough to stay here for years. Careful! That's just how a few of the locals ended up living in this vacation hot-spot. You could be next. Guides give you the local knowledge of the area, in addition to providing the equipment and transportation necessary. They can manage everything or just the very basics, depending on what you need. Mountain biking or road biking, there's a ride here for everyone. The mountain passes make for challenging circuits to ride, while the national forests in the area are perfect for single-track hounds. Rivers run all through Summit County, not to mention the lakes and reservoirs that speckle the landscape. 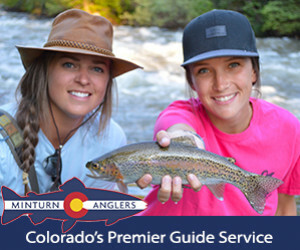 Thankfully, these waterways are teeming with fish of all variety, so whether you're a fly-fisherman or a boating bait caster, a trip out here will give you the fish you've been waiting for. 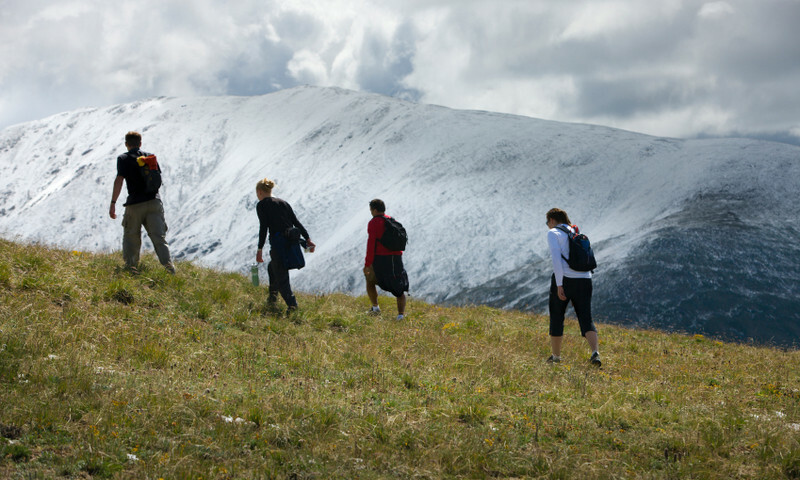 Breckenridge, Colorado vacations are a breeze for hikers and backpackers. 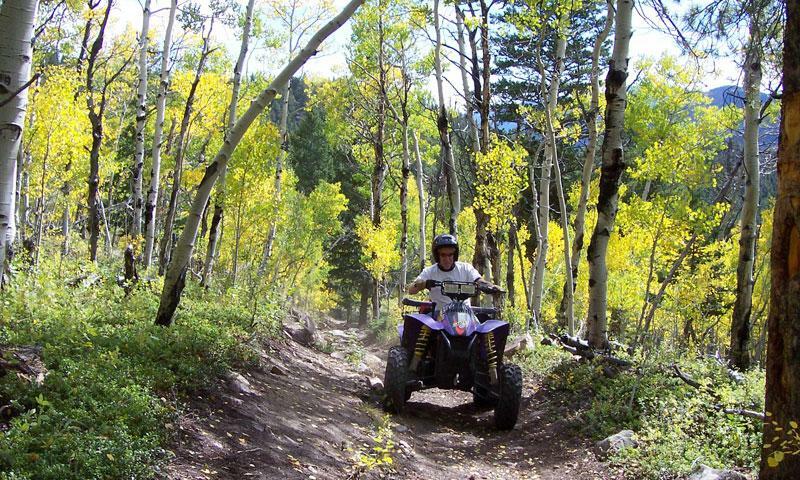 The trails are easily accessible and quickly rise to remote areas of the wilderness, so bring your boots with you. Old mining trails wander in and out of some of the most remote places, so saddle up and make your way out into the mountains. Hour rides, half-day excursions and overnight treks are all great options. What Breckenridge vacation would be complete without heading out on the cold mountain rivers to test your skills against the whitewater? It's convenient; it's world class; it's not to be missed! Sailing the gusty mountain breezes of Lake Dillon is pretty challenging. That makes the regattas even more impressive. There are also boats to take out for some water skiing, wakeboarding and tubing. Few sports get you so far out into the remote wilderness as hunting. Thankfully, between Arapaho and White River National Forests, there's no lack of remote spots to track your prize. Whitewater creeking, lake kayaking or a lazy canoe ride with a picnic are all great options for the paddlers who stop here. There are few areas that combine such imposing terrain, high quality conditions, impressive design and beautiful scenery in such a concentrated area. Take advantage of some of the great courses here. Rock climbing is a great way to get out and test yourself against some of Colorado's best climbing areas. Not only that, but kids have the chance to learn this great sport as well. Some riders come from far away, some are weekend warriors, but when they arrive in Breckenridge, vacations take on a whole new meaning. Summit County has it all: winding valleys, tight switchbacks, high altitude hairpins, and postcard pictures wherever you look. Trucks used to cut into the forest to pull out minerals or wood, which means that if you own or rent an offroad vehicle, there is no limit to how far you can go. There is almost no easier way to get to the top of a mountain than a chairlift. There will be no heavy breath or sweat on your brow to distract you from the incredible scenery of the surrounding mountains. Located in Breckenridge, CO, vacations with kids inevitably come to the Alpine Slide. This isn't because it's the last thing to do, but the first! Kids love the dips and turns of the slalom course, while even some of the adults feel their stomach rise on the giant slalom. Vacations with kids are great in Summit County because they can participate in nearly everything. There are hikes, whitewater rafting trips, bike rides, pools for swimming, scenic flights and more! Get them away from their video games and cell phones to show them some of nature's beauty. Find out about local flight locations and other paragliding events in the Summit County area.